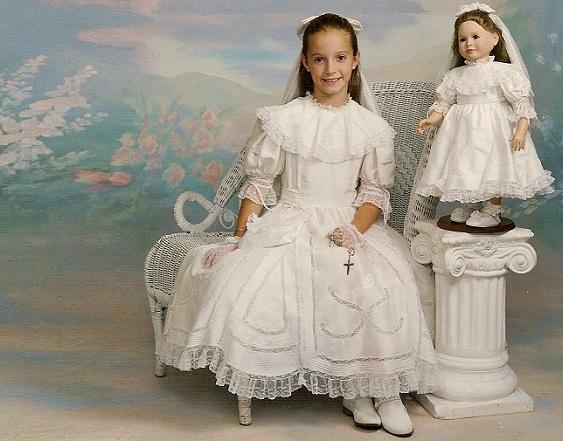 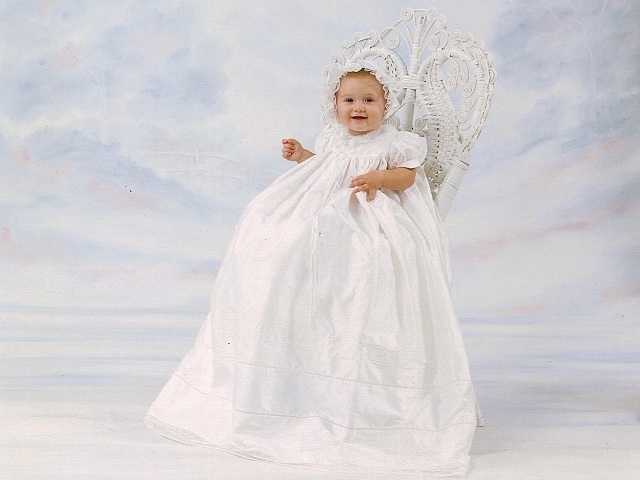 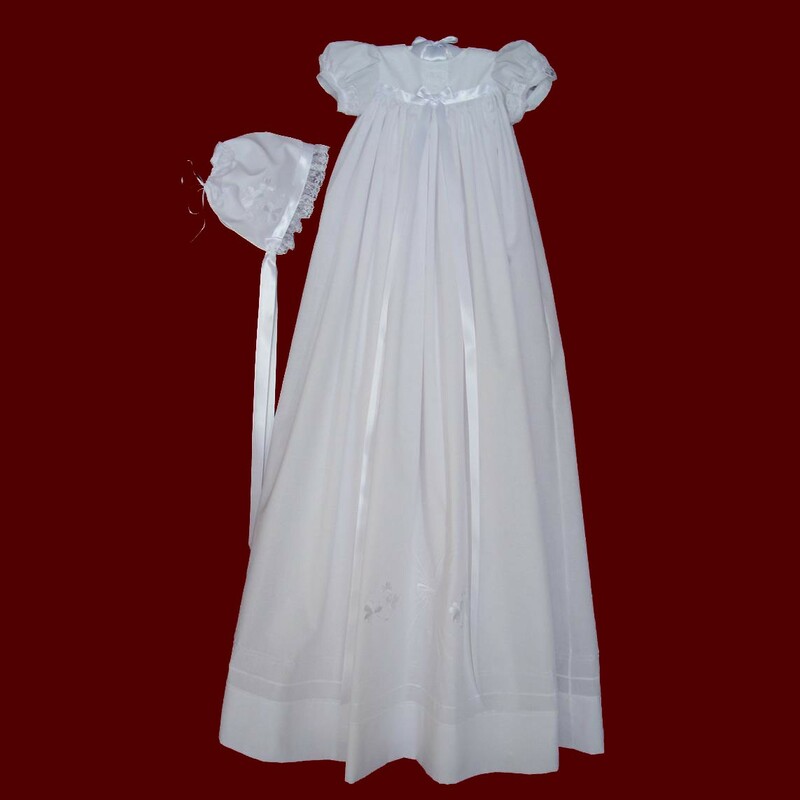 Embroidered Celtic cross with pintucks & shamrocks highlight the skirt portion of this christening gown which has a satin ribbon band across the front yoke with tiny shamrock appliques, gathered French lace on the sleeves with narrow band and ribbon bows. 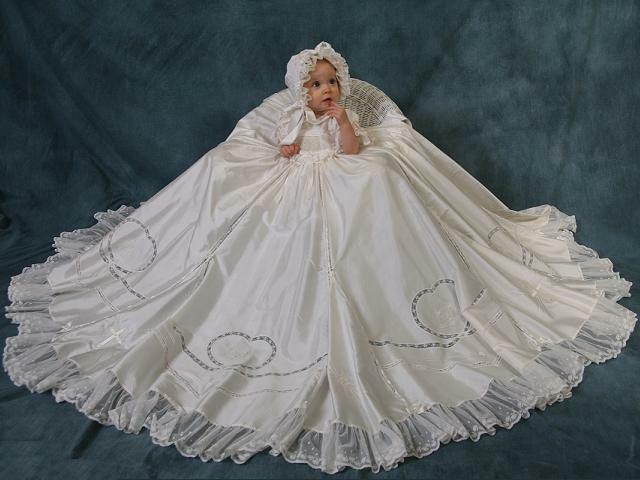 Gown has a double row of buttons on the back yoke to adjust the size and is open down the back skirt portion to allow for easier diaper changings and the ability to spread the gown out fully for beautiful portraits. 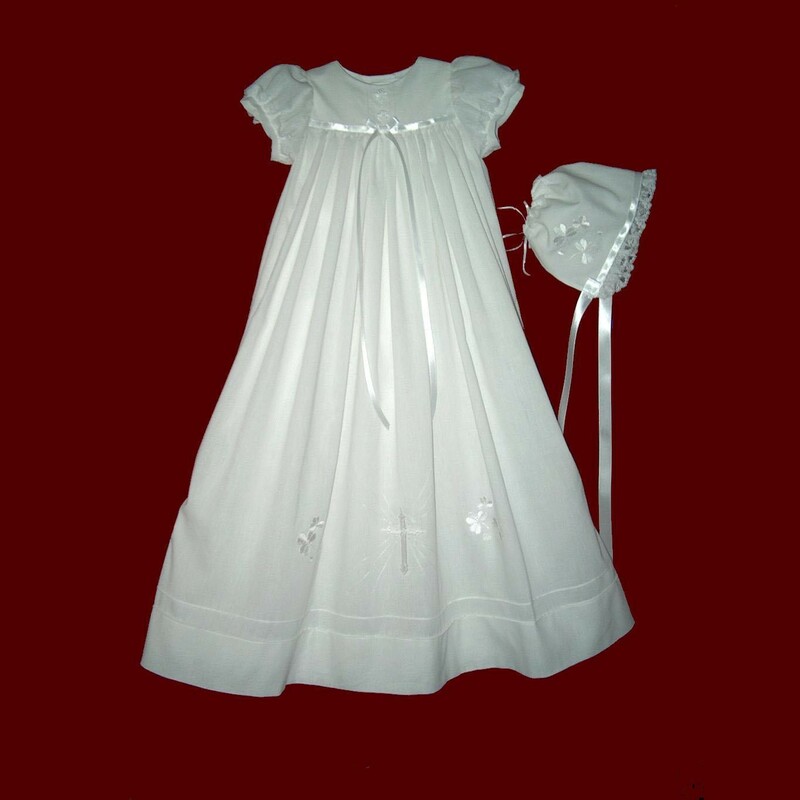 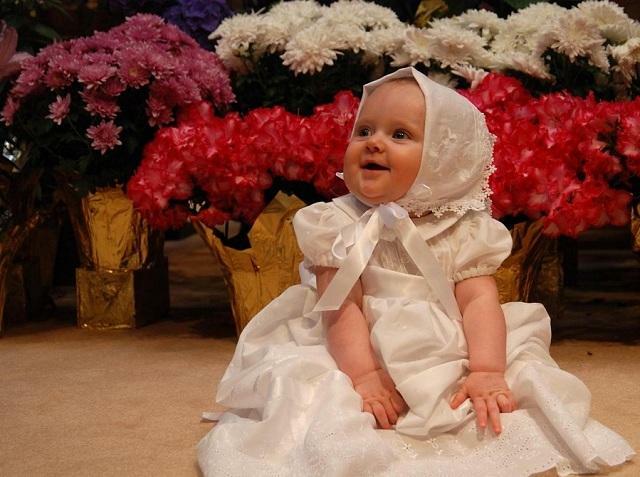 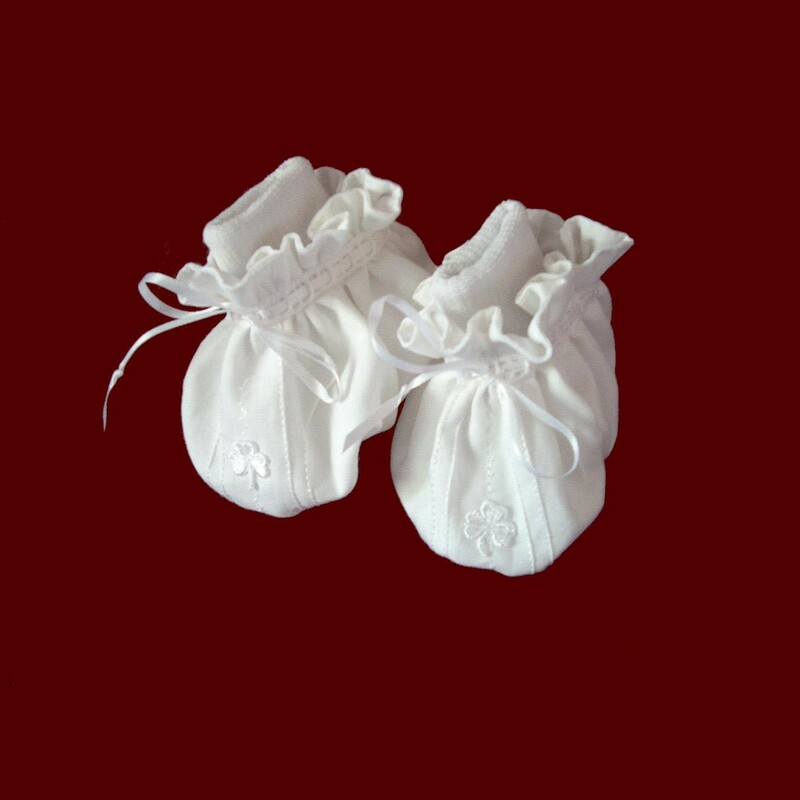 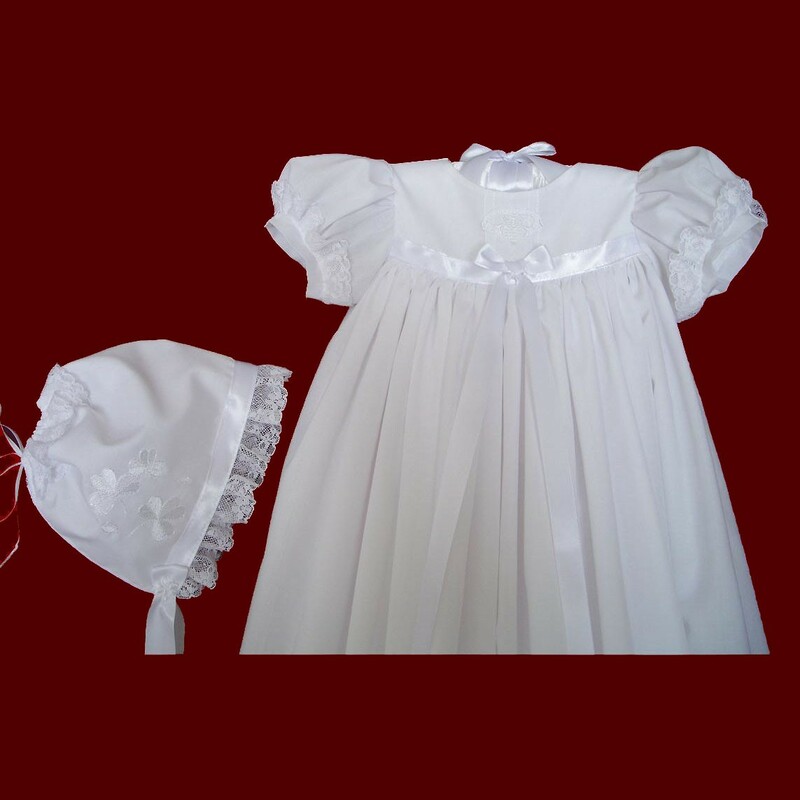 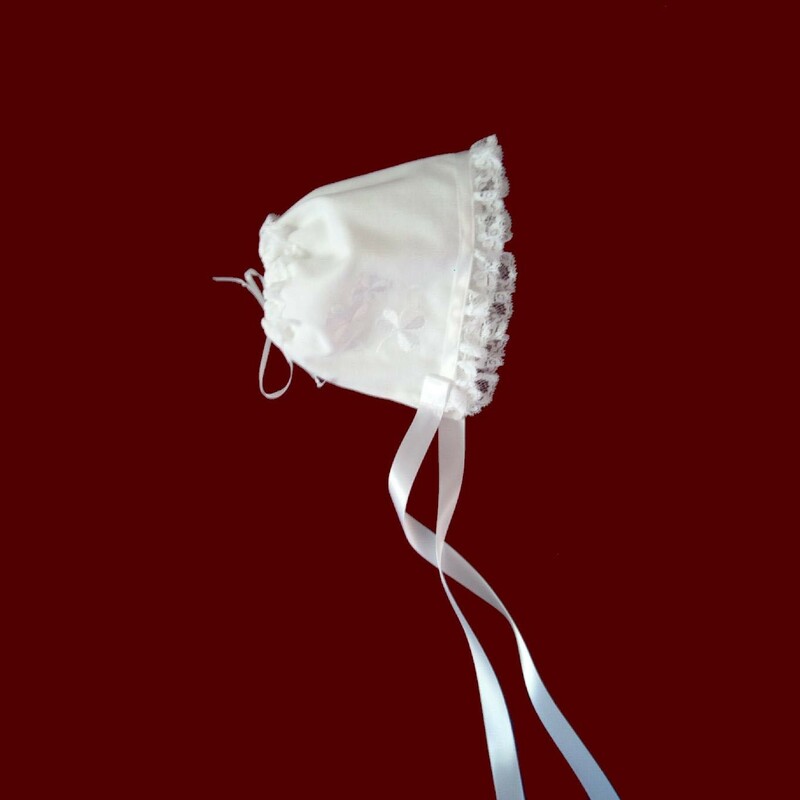 Includes cotton batiste slip which can be personalized with baby's name and baptismal date and matching bonnet with embroidered shamrocks, gathered French lace with satin ribbon band and an adjustable back ribbon casing. 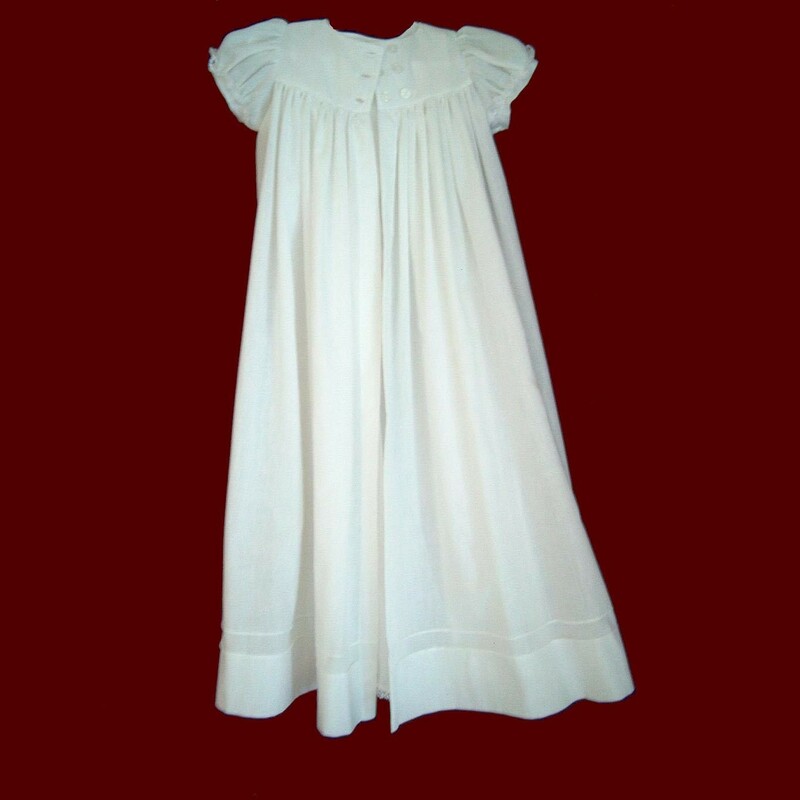 Available in a variety of fabric choices and sizes in white or ivory and your choice of gown length and short or long sleeves. 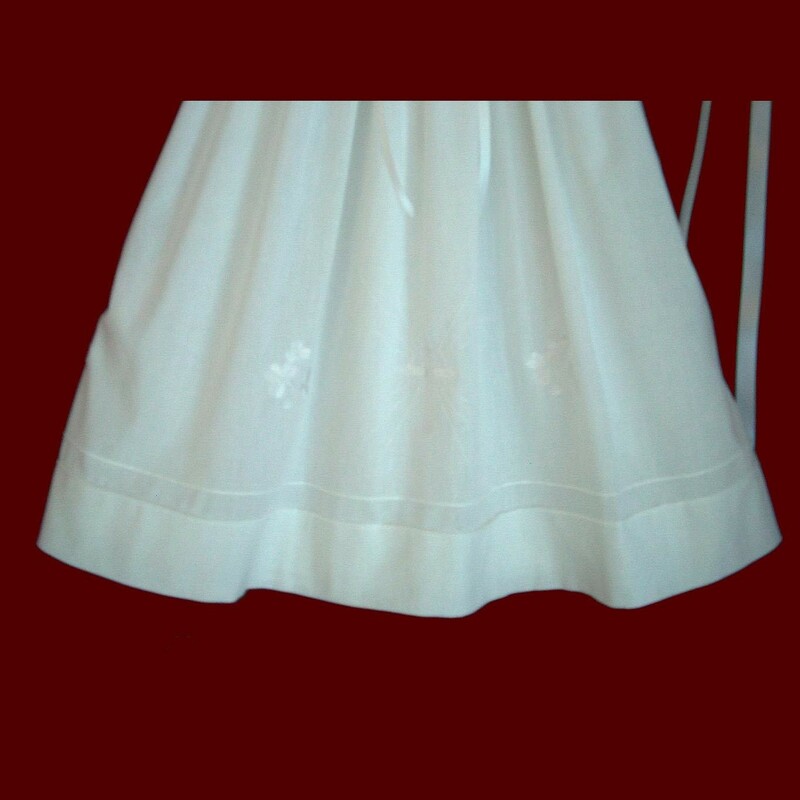 Also available with no shamrock embroidery or appliques (Use special requests to specify your choice). 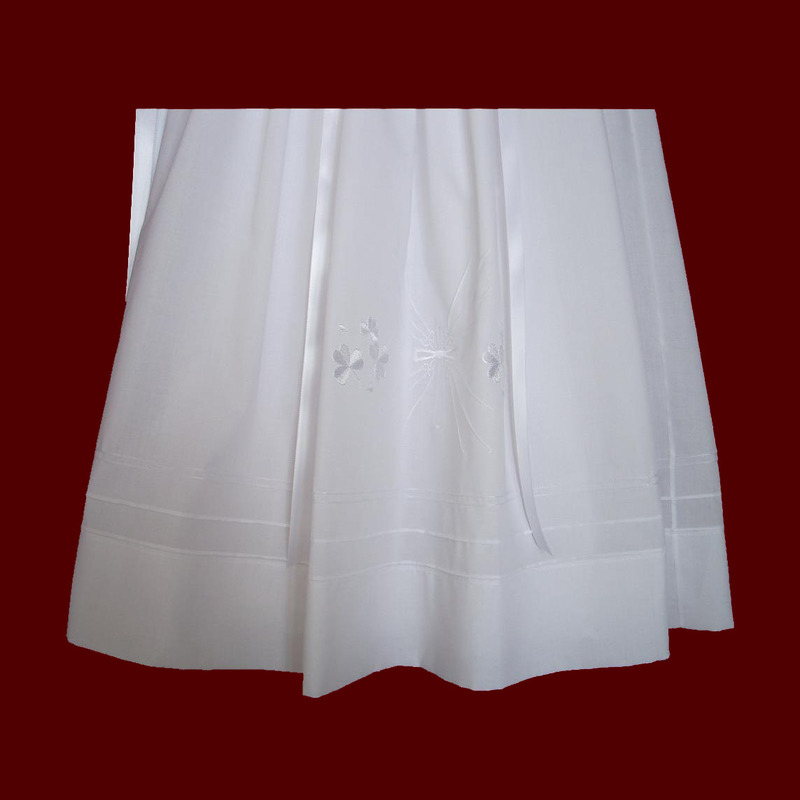 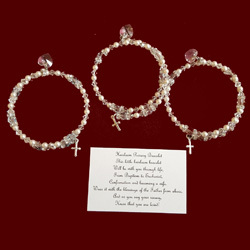 **NEW embroidered cross designs available in many choices in all white (shown), all ivory or with pale pink accents. 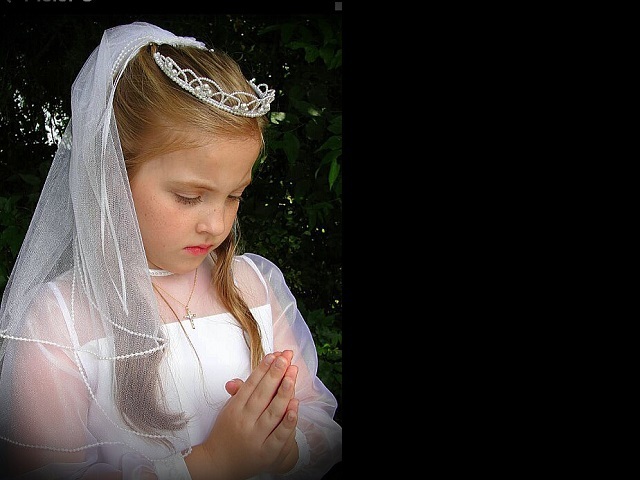 Your choice of additional Irish accents also available.